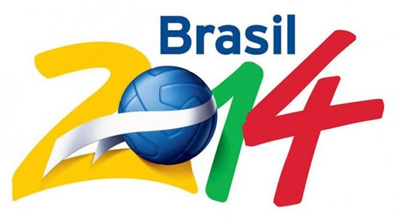 Brazil is meeting Germany tonight in the World Cup 2014s semifinal clash. Both football fans and sports betting enthusiasts eyes are on this meeting between the host country and one of the most formidable teams of Europe. For the Seleçao, prices at stake are high since the 200 million Brazilians expect a great win of their national team in this game. But the battle is far from won for Luiz Felipe Scolaris men who will have to play without Neymar and Thiago Silva. Actually Neymar is ruled out for forty days following a serious back injury in their game against Colombia while central defender and captain Thiago Silva wont be there due to a suspension he earned against the Cafeteros the same day. He would only be allowed to join the Seleçao if Brazil wins over Germany tonight. For its part, the Nationalmannschaft will not be easy to beat as France has just witnessed in their breathtaking clash. Since the very beginning of the World Cup, Germany has accomplished thrilling wins thanks to the efficiency and skills of Thomas Müller; the latter actually scores 4 goals in 6 shots. Besides, the Mannschaft does have a strong potentiality along with a sheer individuality; needless to say, Joachim Löws team is also terribly dangerous when they play collectively. As mentioned by Per Mertesacker, Germany is not only there to deliver performance but also to win the World Cup title. As what they did against France, the Mannschaft can count on a solid defense thanks to highly talented Manuel Neurerou and defender Mats Hummels; as a reminder, the latter gave Benzema and Co a hard time. For gambling enthusiasts, dont forget that bets are still available on online sports betting sites.